Axis Securities Walkin Drive | Sales Executive Jobs | 8th to 13th December 2017. Recently the Axis Securities Ltd has released recruitment notification for various openings in the company. The company is going to conduct the recruitment for the candidates at Bangalore on 8th to 13th December 2017. Contenders who had interest and dream to shine their career in the Banking Sector can grab this chance. Candidates who had possessed 10+2, Graduation, Post Graduation can attend for the Axis Securities Recruitment which is on 8th to 13th December 2017 in the specified locations. Candidates have to prepare well for the interview process so for the sake of the contenders we are providing the Axis Securities Limited Test Pattern on our website. At present, there are more than 35 openings in the company. The Axis Securities Ltd is conducting the Walkins in Bangalore. Candidates of the certain locations can attend for the Axis Securities Ltd Walkin Drive on the mentioned dates. The candidates who had cleared the interview process will be selected for the Sales Executive, Officer roles in various departments. To give the interview process in an effective manner candidates have to revise the Axis Securities Placement Papers and Axis Securities Interview Questions. Nowadays all the educated candidates are showing interest in Bank Jobs. For those candidates, this is a wonderful opportunity to fulfill their dream of securing a job in the reputed company like Axis Securities Limited. Both the Freshers and 0 – 5 years experienced contenders can apply and attend for the Axis Securities Ltd Walkin Drive on 8th to 13th December 2017. From this source, the candidates can get the brief details about the Walkin Drive by scrolling down this page. Designation: Sales Executive, Relationship Officer, Business Executive, Telecalling Executive, Team Leader. Experience: 6 Months to 10 Years sales experience, Fresher can also apply. Department: Loan against Property, LAP, Business Loan, Mortgage, CVCE Loan, SME Loan, Home Loan, Personal Loan, Auto Loan, Credit Card, Merchant Acquiring, Retail Broking. CTC: As per company norms + Huge Incentive. Qualification: Any Under Graduate, Graduation, Post-graduation. Demonstrating, Presenting, Introducing, Selling banking products of the client. Axis Securities Limited is a subsidiary company if Axis Bank Limited. Axis Bank is a third largest private sector bank in India and this company had a wide range of services and products to meet the basic needs of the customer. By opening a single account the customer can invest in Equities, Mutual Funds, SIPs, IPOs, Derivatives, Bonds, NCDs, ETFs and Company Fixed Deposits. Customers can also avail other financial solutions through ASL such as Home Loans, Auto Loans, Personal Loans, Loan Against Property, Loan against Shares and Loans for SME, Credit and Prepaid Cards. ASL is engaged in the business of marketing and selling financial products of the Axis Bank Limited. This is a good chance for the aspirants who are trying hard to get the job in the Banking Sector. 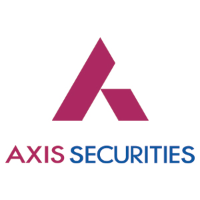 To recruit the skilled and talented candidates the Axis Securities Limited company is conducting the Walkin Drive at Bangalore for various positions. If any of the candidates had cleared the interview process the aspirant can place in the announced position with attractive pay scale with huge incentives as per the norms of the company. Here we are giving the venue for the Axis Securities Limited Walkin Drive at various locations. Candidates can easily get the venue information without any difficulty. Sahakar Nagar, Above John Players Show Room, Bangalore: 560092. Hope the information furnished on this page is quite enough for the candidates. For more details keep on visiting our website www.allindiajobs.in. We will update with the latest information.